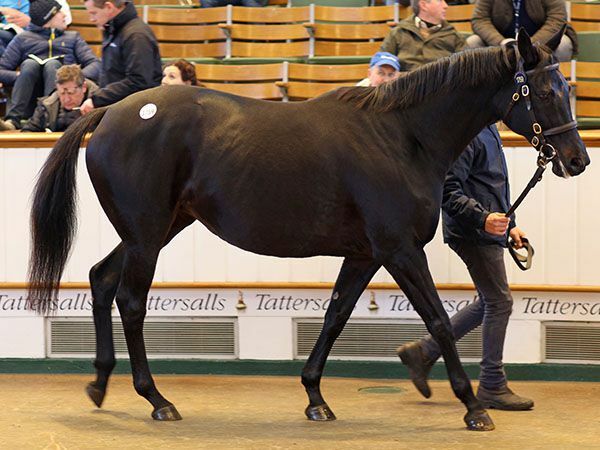 The second day of the Tattersalls December Mare Sale was, as ever, a truly international affair with buyers from four continents represented by the top ten lots. The headline act of the day was HAZARIYA, the dam of HARZAND, topping proceedings at 2 million guineas. 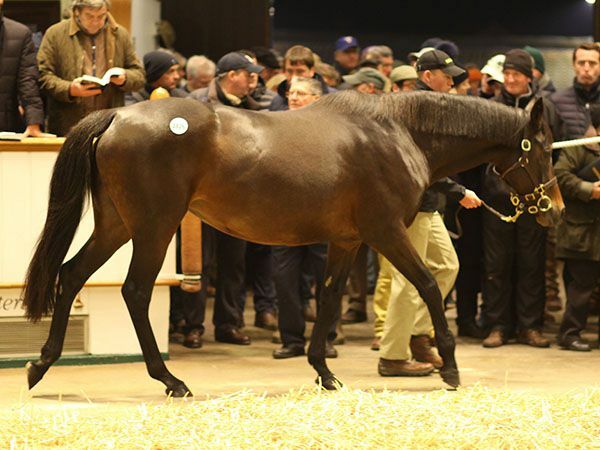 A total of 186 lots sold for 25,512,500 guineas with an average of 137,164 guineas and median of 60,000 guineas. The star of the show on Tuesday of the Tattersalls December Mare Sale was the dam of this year’s dual Derby winner HARZAND. A packed sales ring turned out to see HAZARIYA, in foal to INVINCIBLE SPIRIT, knocked down to MV Magnier, standing with Michael Jooste of South African-based Mayfair Speculators, for 2 million guineas. The Newsells Park Stud offering was herself a good race filly winning the Group 3 Athasi Stakes at The Curragh before retiring to stud where she has produced five winners including Listed Finale Stakes winner HAZARAFA, Group 3 Silver Flash Stakes winner HARASIYA and of course Group 1 Epsom and Irish Derby winner Harzand. "She is a lovely mare, and any mare who breeds a Derby winner is special. Dermot Weld trains the two-year-old Haripour and he was full of praise of him to me. "She is for my parents and Michael and Derrick - and she will go to Galileo." "We are obviously very sad to lose her. She looked a picture today and is a credit to the team at home. "Of course, we would have loved to have kept her, but we have two fillies out of her and it is the right decision for us." The half-sister to American wonder mare ZENYATTA was another to top a million guineas on the second day of the Tattersalls December Mare Sale. US-bred EBLOUISSANTE in foal to DANSILI will be heading back to her country of birth having been bought by Jane Lyon of Kentucky-based Summer Wind Farm. Consigned by The National Stud, the well-related seven-year-old mare is a half-sister to triple Grade 1 winner BALANCE in addition to ZENYATTA who won an incredible 19 out of 20 starts during her race career which included a tally of seven Grade 1s. "I am very excited. We watched Zenyatta as did the rest of the world. It is a phenomenal family and we don't have anything of the pedigree in the broodmare band at home. She is an imposing, breathtaking individual and could be bred to any stallion. "We saw a photo of her first foal by Oasis Dream and he looks just fine, which gives us some confidence in her as a broodmare. "She will go from here to Ireland and will foal down there, we will decide what to do regards her next covering. Eventually she will come back to the US and we will see if we can find a dirt stallion." Lyon, who sadly lost her husband Frank a year ago, was accompanied today by her son-in-law and Summer Wind farm manager Mark Moloney. "I trust my son-in-law implicitly with his decisions and selecting the horses, and I hope my husband is looking down and approving of what I am doing." The third highest price of the day was achieved by IRISH ROOKIE when knocked down to Haras de Saint-Pair’s Andreas Putsch for 935,000 guineas. Timeform rated 111, the Listed winning four-year-old daughter of AZAMOUR was second to ERVEDYA in the Group 1 Prix Poule d’Essai des Pouliches at Longchamp and third to ESOTERIQUE in the Group 1 Sun Chariot Stakes at Newmarket. Offered for sale by Martyn Meade’s Sefton Lodge Stables, IRISH ROOKIE is from the Group 1 winning Juddmonte family of ZAFONIC and ZAMINDAR. Late in the evening, Listed winning filly CHARTREUSE was bought by John O’Connor of Ballylinch Stud for 825,000 guineas. The three-year-old daughter of Ballylinch resident LAWMAN raced in France where she won the Listed Prix La Sorellina and was placed three times in Group company. Offered by Highclere Stud on behalf of Highclere Thoroughbred Racing, Chartreuse holds a Timeform rating of 109. "She is for Ballylinch Stud - we are not sure which stallion yet," said successful buyer John O'Connor, his third purchase today under the stud's name but who has also a number of shared fillies and mares coming back to the farm. "She is from an old Gerry Oldham family, but here are lots of young mares on the page. She is by Lawman, whom we obviously know." JACK NAYLOR was another highlight on the second day and made 800,000 guineas when knocked down to James Wigan of London Thoroughbred Services. Under the guidance of Irish-based trainer Jessica Harrington, the four-year-old daughter of CHAMPS ELYSEES won the Group 3 Silver Flash Stakes at two and became a consistent Group 1 performer as a three-year-old, finishing second to COVERT LOVE in the Irish Oaks. Consigned by The Castlebridge Consignment on behalf of owner Gerry Byrne, the well-related filly is from the family of multiple Group 1 winning WANDESTA. "She will remain in the UK," said Wigan. 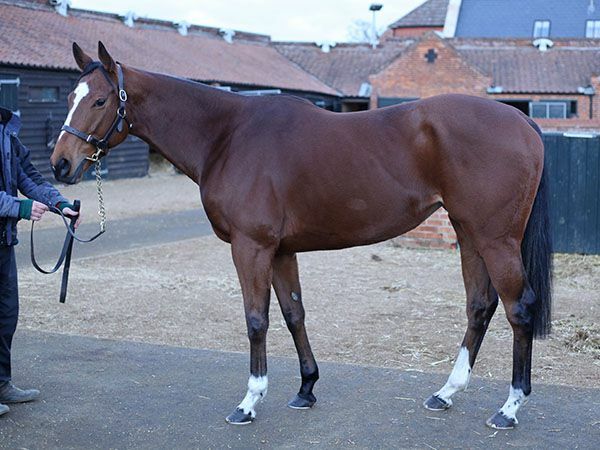 "She is from a lovely Juddmonte family, is a nice individual, was Classic placed and was a very tough race mare." 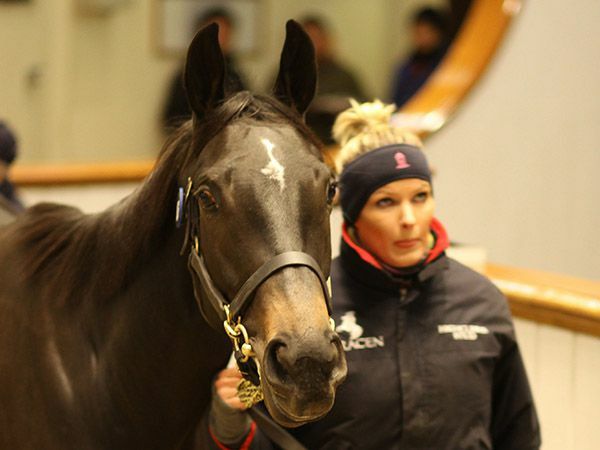 The Tattersalls December Mare Sale continues at 9.30am on Wednesday, November 30.